As you may know, I am looking to amp up my skincare routine this year. 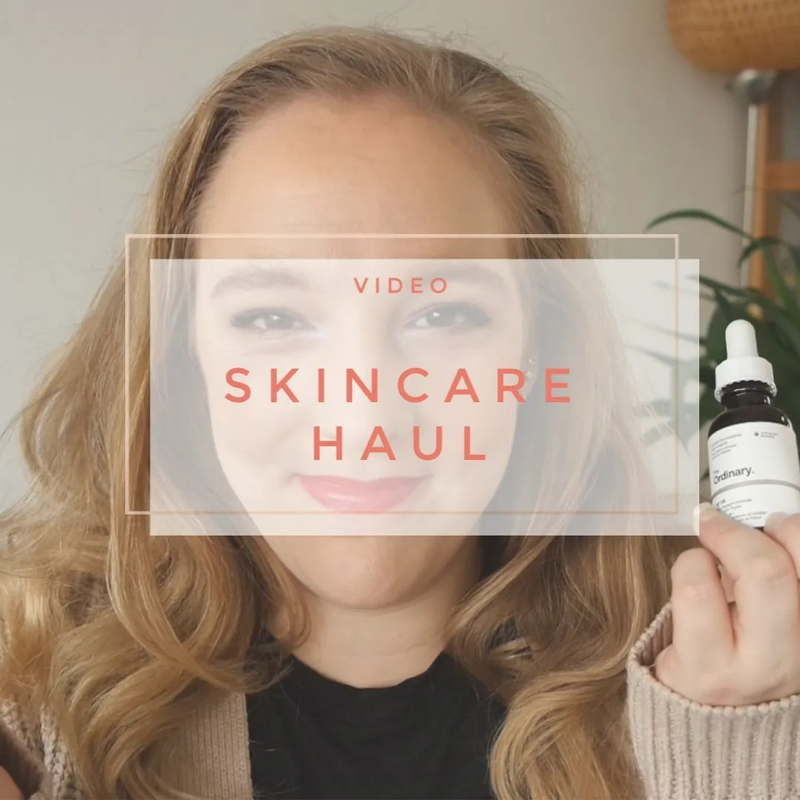 So when I bought a few bits to get started and stocked up on some of my skincare favorites, I also made a bit of a wish list of stuff I would like to try. That’s what today’s video is all about. If you are curious to see what I picked up and what I am currently looking into then click on through. Wow that’s quite the skincare haul! I’ve always been a big fan of Shiseido but lately I’ve been branching out. I’m really enjoying the Korean brand Belif – their The True Cream Moisturizing Bomb and Moisturizing and Firming Eye cream are great. Right now I’m using Kiehl’s Ultra Facial Cream during the day which is helping my super dry skin lately. At night time I’ve been enjoying the Origins High-Potency Night-A-Mins cream – it has AHAs in it and leaves my skin feeling smooth and soft. For facial oil, I use the Clarins Lotus Face Treatment Oil. I’m also trying out The Ordinary 100% Plant Derived Squalane which feels a bit heavier. I’d love to try Belif. I’ve heard great things but they aren’t sold anywhere around here as far as I know. I love trying out skincare, it has become a bit of an obsession in the last few years. I have combo oily skin but it can get a bit dehydrated sometimes. I’m thinking about doing a blog post sharing some of my favourite blogs and yours is one of my top favourites to follow I would love to include it in my post I hope thats okay? Sure! That would be lovely. Glad to hear you like my blog. Hi indiequeen84, thanks for your post! I’ve recently been researching “rosehip oil” I haven’t tried it yet but it’s got a lot of hype. I got The Ordinary one now, so I hope to be trying it out some time soon. I will check out your blog soon! I am slowly trying more and more of their products. So far I am liking it. Definitely get La Roche Posay Toleriane Nuit!! I’ve been using it forever and it’s the best! I have used it before and loved it! It would be a repurchase for me. I love the kiehl’s midnight recovery concentrate! I’m sure that you will soon become a fan! Is La Roche Posay worth the hype? It is a repurchase for me so I know I’ll love it. La Roche Posay is well worth it. I love their products for my sensitive skin. They are great staples to fall back on. Never heard of it. I don’t think it is available where I live. Ah I love this. My skin care is so mixed up. I hop from Trader Joe’s, to Estée Lauder, to Clarins, to brands from tJ Maxx. I think it’s important to find good skincare, and invest in products that will benefit your skin. It’s taken me years, but I’m finally loving where I’m at. I am loving mine too. I love a mix of brands too.